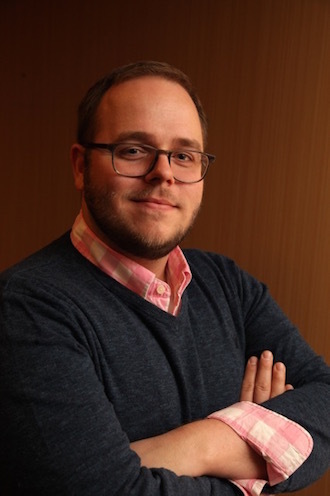 Jared Fox is the first LGBT liaison in New York City’s the Department of Education. Photo: NYC DOE. What Jared Fox wants most to do is to make sure that students don’t have to fear to go to school. That’s what his position as the new LGBT liaison for New York City Public School system amounts to—he consults with teachers and administrators to make sure that all students in the largest school district in the country can find the support and safety they need to feel safe in class. Fox grew up in Cleveland, began his teaching career in New Orleans, and entered the New York City Department of Education via their technology division, training teachers to keep up with new educational technologies. Back then, he volunteered actively with the Gay, Lesbian, and Straight Education Network. But two years ago, he visited his hometown, Cleveland. A decade before, as a student there, he’d founded Cleveland High School’s first Gay-Straight Alliance and seen it become the largest club on campus. But on this visit, he was violently assaulted by a pack of teenagers who beat and robbed him while calling him anti-gay slurs. All of the attackers were students at Cleveland High School. In less than ten years, the club he’d nurtured had fallen apart and been forgotten, because it had no administrative support. To that end, he found support to create the position he now occupies at New York, where he was and is employed. The goal of the post is to make sure that schools are safe for LGBT teachers and students alike and to maintain lasting change in educating students and staff about the importance of understanding.